Amanda the bizgal is the real deal. She’s an accomplished speaker, image expert, savvy entrepreneur and a charming media guest. Amanda is genuine—she will immediately engage you with her enthusiasm and energy. Amanda is the cofounder and publisher of the perfect career coach for today’s young professional in bizMe.biz, an online career and lifestyle magazine. Each issue of bizMe offers real advice, coaching young professionals on building career relationships, presenting a polished image, demonstrating career etiquette, and upholding ethical values. For Amanda, creating bizMe and delving into the publishing world has been an amazing experience from the initial concept to today’s issue. 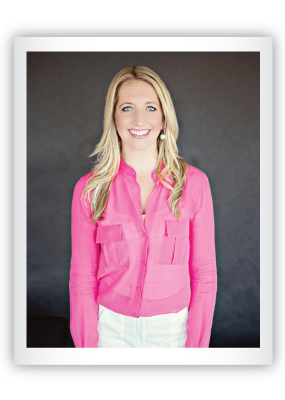 To meet the demand for her coaching and speaking engagements, Amanda began bizMe Consulting. Her mission for bizMe the magazine and bizMe Consulting has always been simple—that her audience finds her approachable and relatable much like having the honest, real-world advice from a trusted professor and the encouraging support of a best friend all packaged together in a “just like you and me” conversation. bizMe Consulting has enabled Amanda the bizgal to offer peer-to-peer coaching, appear as a career expert on TV morning/afternoon shows, and speak to a variety of audiences on building successful career relationships. Her favorite is engaging an audience whether corporate veterans or university students on presenting their very best personal brand. Amanda the bizgal’s quotes and expertise has been quoted and used as a resource in the following national and international clips. The bizMe story begins with Amanda, a senior in college . . . mix in a little stage fright when facing college graduation and beginning a career . . . add in talented friends who are feeling the same, and an idea gains momentum. She began her collegiate career as a Big East volleyball athlete with the Wildcats of Villanova and soon realized that her heart was in the Midwest. As a Business Communications/Marketing&Advertising graduate of the University of St. Thomas in St. Paul, MN, Amanda played volleyball, softball, and threw the javelin. Athletic competition laid the groundwork for Amanda’s level of commitment and work ethic. Networking and learning from others led to the creation of bizMe. Whether starting or sitting the bench, Amanda appreciates teamwork and the dedication of succeeding together. You’ll find that same attitude and commitment to enhancing career, potential, ambition, and lifestyle reflected in bizMe.biz and bizMe Consulting.